Microsoft is doing new things with its Surface tablets, and hoping that enterprises will find a lot to like. The company is taking steps to tailor the tablets to the needs of enterprises. The goal of customization is to differentiate the Surface from look-alike products, and to tie devices closely to a company's operations. "We're going to meet the enterprise on their terms," said Hayete Gallot, general manager of Microsoft Devices, in an interview with the IDG News Service. Surface tablets have been successful with consumers and professionals, and Microsoft is giving it an additional enterprise twist. 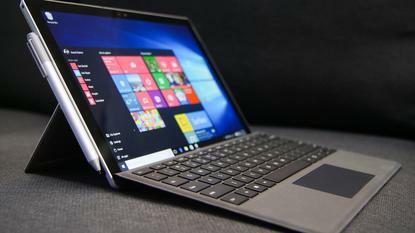 The effort comes as companies look to upgrade to Windows 10 PCs, with tablet-laptop hybrids like Surface being popular replacements. The customization plans are centered around software and buying options, but Microsoft is also open to the idea of customizing Surface hardware. Microsoft is partnering with IBM and Booz Allen Hamilton to develop custom software for Surface devices. The software will be tuned specifically to a company's needs. Working with IBM is "like bringing the big dog" to develop custom software for Surface, Gallot said. IBM will use its expertise in analytics and big data to develop apps for the retail, consumer goods and health care industries. IBM will develop applications for retailers and consumer packaged goods companies to access analytics that will help maximize employee productivity. Interactive applications will also be made for demand forecasting and product and sales management. The partnership with Booz Allen Hamilton will be on tuning Surface tablets for government, public sector and health-care organizations, with a focus on security and manageability of devices. For example, Booz Allen Hamilton will able to offer lock-down features that will increase the security of devices, Gallot said. Microsoft can also customize hardware to meet enterprise needs, if needed. "We are open to it," Gallot said. It's not uncommon for enterprise customers to ask for specific hardware features when it comes to security, memory and storage capacity. But there's no demand yet for custom Surfaces, as the tablets are being widely used in enterprises in their current configurations, Gallot said. Microsoft also announced the Surface as a Service program, which provides flexibility on hardware purchases. Surface devices can be packaged with cloud services and paid for on a subscription basis. The subscription program is becoming popular as customers try to retain financial flexibility when purchasing new hardware, Gallot said. Such programs last from one to three years, and also give customers quicker access to hardware upgrades, Gallot said. HP also launched a similar hardware-as-a-service program last week. Such programs reduce the up-front cost of paying for hardware, and instead break them down into monthly chunks that are similar to installment payments. IDC says PC upgrades may pick up after Microsoft ends its free Windows 10 upgrade program on July 29. Companies may buy new PCs instead of paying for a Windows 10 OS license. There are questions lingering around the release of a possible successor to Surface 3, which Microsoft said it will stop making by the end of the year. Gallot didn't definitively say if such a device would be released, but said the Surface 3 sold well in the enterprise.